The excavator was an extremely important innovation in the construction industry. With these new mechanical tool, builders were able to manipulate the landscape far more quickly and efficiently than they had even been able to before, which in turn paved the way for increasingly complex constructions that only grew in size as the technology improved. Over the years excavators have evolved to incorporate a range of new designs. From the enormous and bulky standard models that can be used to excavate huge amounts of earth through to mini-excavators that offer slightly less in terms of pure digging power but are able to reach awkward places that a standard excavator is unable to reach, the vehicle is one of the most interesting in the entire construction industry. 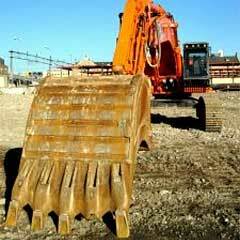 With that in mind, here are a few facts that you may not have known about excavators. Excavating isn't simply a case of digging up as much dirt as you can with the biggest machine you can find. In fact there are a range of excavators that are all suitable for tasks both big and small. Mini-excavators alone will often be available in sizes ranging from 1.5 tonnes through to 5 tonnes, whereas larger excavators can range from anywhere between 40 tonnes and an astonishing 780 tonnes. For a little perspective that means that the largest excavators can weigh as much as 195 elephants. They are in themselves astonishing feats of engineering and are all the more remarkable for the feats of engineering that they are used to achieve. While excavators had existed in many forms beforehand, it took a French company by the name of Poclain to popularize the use of hydraulic excavators. Produced in 1951 the new designs moved away from the traditional cables and winches that were used by most excavators of the time and instead veered towards new hydraulic technology that made their use far more efficient and required less maintenance. The company weren't happy to stop there with their innovations. A mere 9 years later they also produced a model known as the TY45, which was the first excavator that would revolve a full 360 degrees. This only served to make using an excavator more efficient and allowed the user to dig in a circular motion, should the job require it. Thanks to the innovations of Poclain and companies like it, excavators soon moved away from cable mechanisms and hydraulics became the standard for the industry once the 1970s had arrived. If there is any doubt in your mind at just how effective excavators can be when it comes to speeding along the construction process, the fact that they can do a job that is equivalent to as many as 20 manual laborers working on the same project should change your mind. In fact, larger models come with larger troughs, which in turn means that they are able to excavate even larger amounts of Earth. This complete shift in the speed of digging has allowed the construction industry to use the vehicles for everything from road works and buildings right through to complex mining and river dredging operations that would otherwise be extremely hazardous to workers. The humble excavator has become such a common sight in the modern era that it is often difficult to truly appreciate the enormous leap forward that they represented for the construction industry. Without them, many of the aspects of life that we take for granted today would not be anywhere near as readily available and it is no surprise that practically every construction company makes heavy use of the vehicles.